Keep those swinging arms in shape and do it with style on a Puntarenas Golf day Trip. Being one of Costa Rica’s top golf destinations, you will be guaranteed of a challenging and magnificently designed golf course. This Golf trip is a family friendly one where you can experience an enjoyable round of golf while having spectacular views and friendly golf partners. You can also take a tour of the rainforest with the whole family later on to admire the natural beauty of the area. Take a break from the busy and crowded streets of the city and experience the peace and calmness of the #1 golf course in Costa Rica, Los Suenos Golf Course. Have a feel of its incredible setting and challenging layout, perfectly situated in the heart of the rainforest where monkeys and macaws are your only distractions. Play Golf as it should be on this Puntarenas Golf Day Trip and you will surely have one very memorable time in Costa Rica. Contact us now and we’ll have you enjoying golf in Costa Rica on a Puntarenas Golf Day Trip! 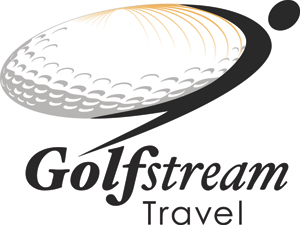 Golf Stream Travel will help you plan your trip to Puntarenas.